Why oh why are our best artists always so contrarian, so complicated? 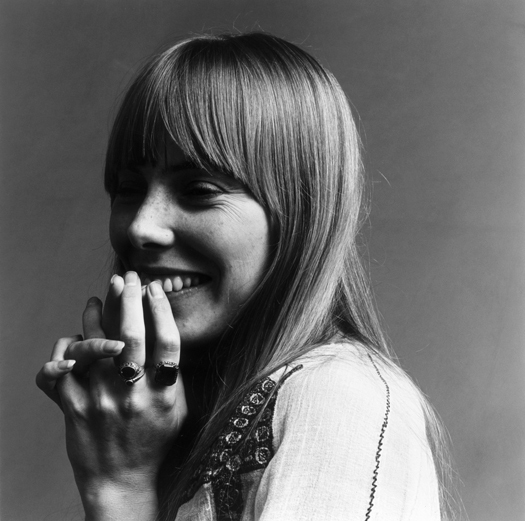 Los Angeles Times: Of late, Joni, you’ve been a major influence on young, current artists with unique voices: Antony Hegarty, Joanna Newsom, Chan Marshall of Cat Power, Rufus Wainwright. Joni Mitchell: Those are theatrical voices, which is a whole other thing. That’s a good game, because it’s small. It never gets too lucrative, so those artists never have to see the puke of it all. I didn’t really go for the big dog race, anyway. Los Angeles Times: As well, you’ve had experience becoming a character outside yourself [Mitchell caused controversy when she appeared as an African American male on the cover of her 1977 album, “Don Juan’s Reckless Daughter”].The folk scene you came out of had fun creating personas. You were born Roberta Joan Anderson, and someone named Bobby Zimmerman became Bob Dylan. Joni MItchell: Bob is not authentic at all. He’s a plagiarist, and his name and voice are fake. Everything about Bob is a deception. We are like night and day, he and I.